View cart “EVOLUTION” has been added to your cart. A variable-width bandpass filter with fast and tactile controls. The Aperture is capable of simple filtering, self oscillation FM timbres, nasty acidic squelches, and capturing images of UFOs descending from the heavens on a cold winter’s night. The concept is a bandpass that ranges from transparent to gnarly, with precision controls that behave under stress, all while being joyful to wreak havoc with. 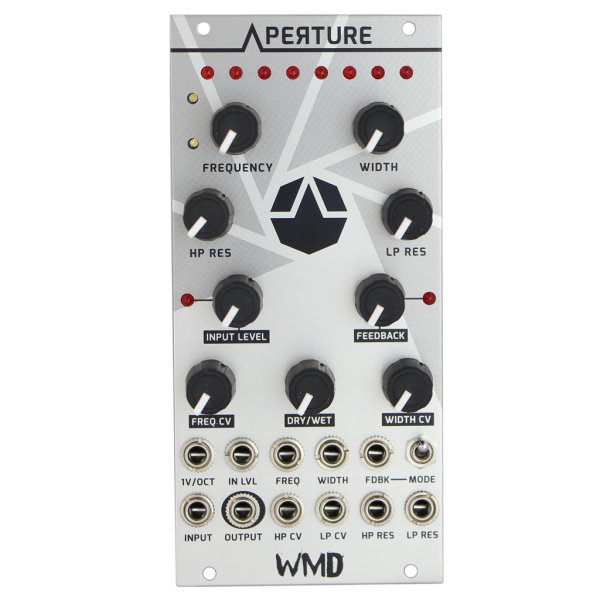 The Aperture works very well as a part of a subtractive synthesizer voice paired with your favorite oscillator as well as a signal processing unit. 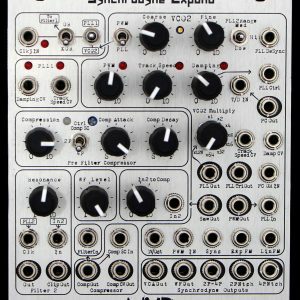 Use it as a Eurorack EQ by running drum loops or other program content with full a frequency range through it to help them sit in your mix a bit better. Pinpoint the exact instruments by dialing in on a narrow frequency band. Drive your sound and add unique rhythmic content by adding some feedback. Sweep any one of it’s parameters with direct CV control. 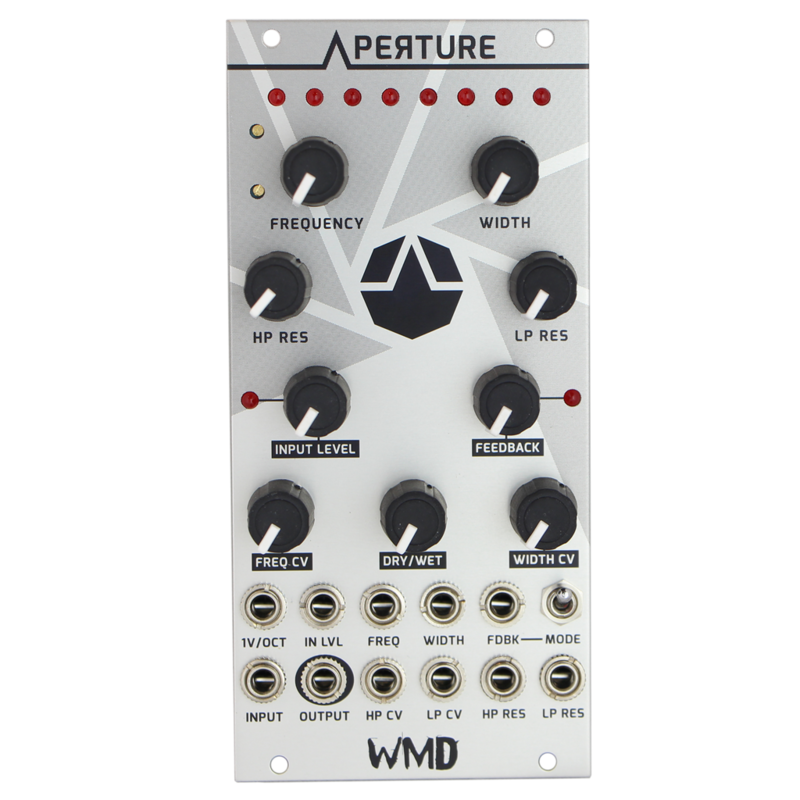 The Aperture is a versatile addition to any Eurorack live performance rig as it is a great sounding filter for bass, drums, leads, pads, and entire mixes as an end of chain filter. 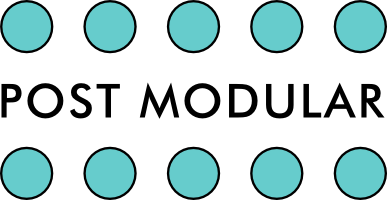 This is filter more unique than most standard multimode filters as it has both high-pass and low-pass filters ran in series. Each filter is independently controllable in addition to the macro controls that control both sides at once. The Aperture can be used in self oscillation as a screaming, wild sounding oscillator with it’s 1V/oct input. It tracks 4 octaves or so. 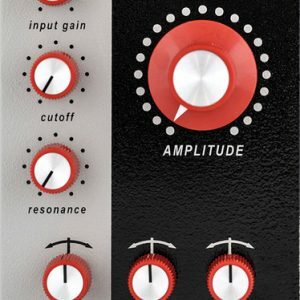 Not a precision oscillator by any means, but has a very unique tonal quality as it has two resonance points as well as feeback for the entire filter’s circuit. Width: Controls the width of the band. control over the Frequency of the filter. High Pass side of the filter. Low Pass side of the filter. Input Level: Attenuates the input level. over the width of the filter. level attenuation.Freq: CV input for control over the cuttoff frequency. Width: CV input for control over the width of the band. FDBK: CV input for control over the feedback amount. cutoff frequency on the high pass side of the filter. cutoff frequency on the low pass side of the filter.